The PITT Monochrome Graphite Set is perfect for the travelling artist. It contains 5 assorted Graphite 9000 Pencils, 4 assorted PITT Woodless Graphite Pencils, 3 assorted Graphite Crayons, kneaded eraser, dust free eraser, blending stump, metal sharpener, and a sanding block. 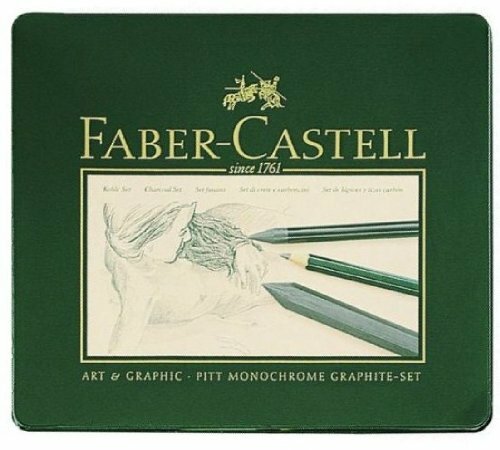 If you have any questions about this product by Faber-Castell Art & Graphic, contact us by completing and submitting the form below. If you are looking for a specif part number, please include it with your message.